Georgia-native Robbie Kamerschen helped Stanford University to two national championships, one in 1987 and one in 1988. He explained the experience years later to Morris News Service, on the occasion of his alma-mater facing his home state University of Georgia in the College World Series. "It's the pinnacle," Kamerschen told the news service. "It's what these guys at Georgia want to experience. It's a dog pile on the pitcher's mound. You work all year for that. ... It really was special." Kamerschen went on from Stanford to turn pro. His professional career, though, was brief. He played a single season. 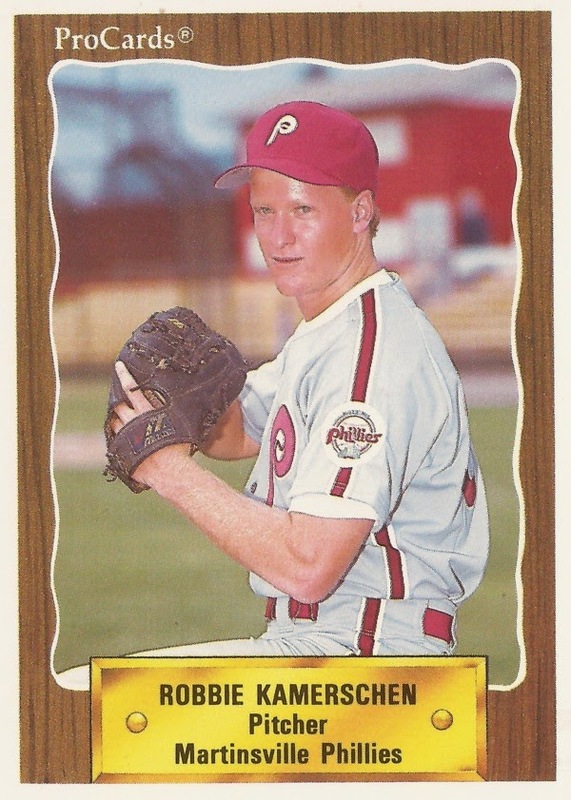 Kamerschen's playing career began and ended in 1990, signed by the Phillies as an undrafted free agent out of Stanford. Kamerschen has also been credited by his formal name Robert Kamerschen. At Stanford, Kamerschen went 6-0 in 1988, with a 3.91 ERA over 14 outings, six starts. With the Phillies, Kamerschen was assigned to rookie Martinsville. He got into 20 outings, starting two games. He had a 5.33 ERA over 50.2 innings. It was his only season as a pro. Kamerschen went on to a career in business. He spent a brief time as the deputy press secretary for U.S. Sen. Richard Shelby. He then returned to Georgia and got his law degree, according to Georgia Trend. In 2004, he served as vice president at an identification company called ChoicePoint. In 2013, he was named senior vice president and general counsel at lease-to-own retailer Aaron's.